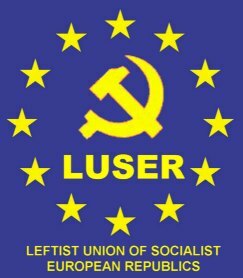 You can Download Has-Europe-Lost-Offshore.pdf here. Its interesting to hear other perspectives about "offshore" or "global sourcing". I think that in the next few years, you're going to see a backlash due to a reduction in quality of the products being developed this way. While you're reducing the "cost per hour" of employees, you're increasing the overall cost by increasing the number of hours required to accomplish the same task, as well as increasing the need for better requirements and high level design, increasing the need for technical oversight, and of course an increase in the amount of support. The other issue is "time to market". The longer it takes to go from drawing board to final product will cause a decrease in revenue and increase in "time to recognize ROI". I'm not trying to be EU or NA centric. We're specifically talking about businesses based in EU or NA and the IT work is being moved to lower cost centers. It looks good on paper, but the longer term effects are still working their way through the system. From what I've seen, I believe you'd be better off hiring a smaller group of senior staff. The trouble is that the "MBA mentality" is short term thinking. There are really only two main reasons to outsource. One is that your own company does not have (or is not available when you need it) certain critical knowledge / experience or capabilities. The other is for less expensive resources. With respect to European providers, market economics has probably played a bigger role. The steady, then more recently rapid, rise of the euro has made it dramatically more expensive to source development in Europe than in Asia or even the US. In fact, with the current euro-dollar situation, I expect we'll begin to see European companies outsourcing to the US for about the same quality work at half the cost. I see no new wave of outsourcing and offshoring, no tsunami on the horizon. It's been happening for some time. Perhaps, you are noting a recognizable threshold of new offers and messages in the market. No one bright in IT has failed to see the present competitive scenario. The only thing "emerging" is heads out of a**es. The short-sighted will always be caught with their pants down. The trend for lower cost solutions and support is relentless. Revenue deflation is relentless as more, better and equal services are offered at lower and lower costs. Lack the financial resources to go offshore? Nah. People are lazy. There is only lack of vision, leaders, and an instinct to win... if they can't figure it out. Again, there is only lack of vision, leaders, and an instinct to win... if they can't figure it out. As an Application Outsourcing Advisor, you know good FUD. But scare tactics are not the best way to do business. Get them to love you, want you and never live without you. Europe (Western Europe) and the US can't afford to compete with Eastern Europe and Asian development costs. That's the no brainer. But it takes brains, time and clear mind to build something sustainable and valuable in Eastern Europe and Asia. Outsourcing companies in Eastern Europe and Asia are often shabby as one of the responders points out. And the offshoring is worse. HP Romania, for example, doesn't pay its people well and the people are coming and going like its the local aquarium. In effect, HP is training people so those people can leave just as soon as they find a better paying job- and getting a better job is not a challenge in Bucharest. Takes a few days, max. Europe lost the offshore battle. But the war is not over. Indian IT firms are quickly losing their advantage of cost arbitrage. Rising costs, such as rapid double-digit raises to fight high attrition—turnover screws over project continuity—and rupee appreciation (revenue is largely in dollars) have forced Indian IT firms to renegotiate higher rates with their clients. Increasing global competition from neighbors like China is providing additional pressure. Further, revenue is projected to slow this year for firms that rely heavily on the U.S. market (IT spending tends to lag GDP growth, so spillover impact from the U.S. has yet to materialize). Accordingly, Indian IT firms are seeking to build deeper relationships with their clients and expand their services into higher margin areas that drive competitive advantage. Standard IT applications and BPO services will not cut it. Expansion will be made by specializing in services for niche areas that are growing, i.e. healthcare management (preventative medicine, clinical processing), financial services, and alternative energy (VC investments are skyrocketing in this sector). Additionally, Indian IT firms are expanding business to areas outside of the U.S.—especially where currency is stronger like Europe. European IT firms need to take advantage of these new dynamics. It will be interesting to see in the coming years if they outsource more to the emerging players and expand their services to the new battlefronts. I love the analogy that the "war is not over", just the offshore battle is lost. I am inclined to agree with this statement to some extent - and am writing a post entitled "The Outsourcing Equalizer" that outlines where i think this is all heading. Rising offshore wages will cause problems when they reach a certain inflection point, but we are not there yet, and the Indian offshore providers have done an impressive job keeping pricing under control. If we move into a likely recession, there may be increased job losses amongst domestic (onshore) IT workers, and wage-levels will decrease. If we get to a level where there is less than a 25% differential in wage rates at some levels, then the attractiveness of offshoring IT services significantly reduces. However, the Euro strength really damaged the competitiveness of the European IT services firms, and it will take some time (probably 2-3 years) for the cost-levels to start to hit this inflection point. Attrition levels of offshore staff cause problems with the higher-level services (i.e. program management and architect roles), but less so with the "factory" services - regular app maintenance, help deck support, basic programming etc. The leading offshore providers are pretty adept at doing the lower-level IT work for standard applications like SAP/Oracle and have procedures in place to ship new bodies into lower-level roles without impacting the client. I do not see Chinese service adding a lot of intense competition to areas outside of the Chinese-speaking regions and Japan - they have even worse attrition in their major cities than some of the Indian Tier 1 cities, wage inflation is horrendous, prices are not really better, and quality of service not proven as better that India either. I think you hit the nail on the head regarding the niche areas - for example vertical expertise in industries like healthcare and financial services, where there are a lot of unique application needs. Moreover, services that require a great deal of business and IT alignment, and ideally need to be conducted onshore (or at least nearshore) are an area where European IT services firms can compete. The onshore costs of the Indian providers are not always any better than the local providers, and it is becoming more accepted for clients to use local vendors for the higher level / industry focused-work, and offshore vendors for the lower-level commoditized services, particularly for standard applications, where it is easy to hire and train staff. I also see this trend as similar for US IT services firms, but the weak dollar puts the in a strong position to compete for the niche services right now - I am already seeing this happen in certain deals. Phil Two European firms that I see making moves in the BPO/ITO space are 1) the French firm Steria (following their acquisition of Xansa) 2) the German firm Arvato Services (part of Bertelsmann) What do you think of these two? Steria (Xansa): I have been a big admirer of Xansa's growth over the last few years - especially their dominance in UK public sector and forays into retail banking services (IT and FAO). They need to engage in a merger to address clients beyond the UK in order to grow, and I was initally surprised by the Steria merger, as I always saw them as a strong acquisition-target for one of the global services firms seeking a foothold in the UK public sector "gravy train". However, I have been hearing good things from several friends I have at the firm since the acquisition, and there is a bright future for the firm with its current owners. I wouldn't rule out future mergers between Steria and other services vendors, but not for a while. Arvato: solid back office player and good inroads into continental european clients. could profit from an outsourcing spike if this recession worsens in Europe. could be a strong merger candidate with one of the ambitious offshore BPO providers.